This artist's animation depicts a faraway solar system like our own -- except for one big difference. 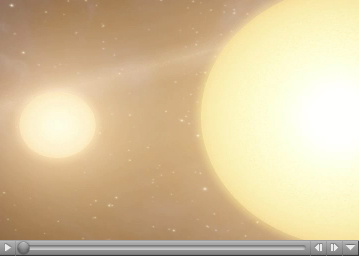 Planets and asteroids circle around not one, but two suns. NASA's Spitzer Space Telescope found evidence that such solar systems might be common in the universe. The movie begins by showing two snug, sun-like stars. It then pans out to show an Earth-like planet and a surrounding disk of asteroids and comets. Spitzer did not see any planets directly, but it detected dust that is kicked up from disks like this one. The disks were spotted circling all the way around several double, or binary, stars, some of which were closer together than Earth is to our sun. 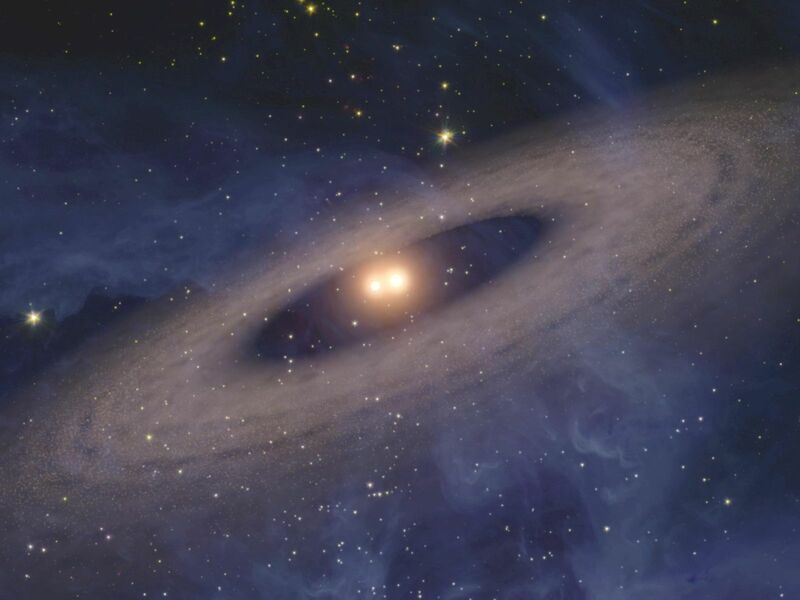 In fact, Spitzer found more disks in orbit around close-knit binary stars than single stars. 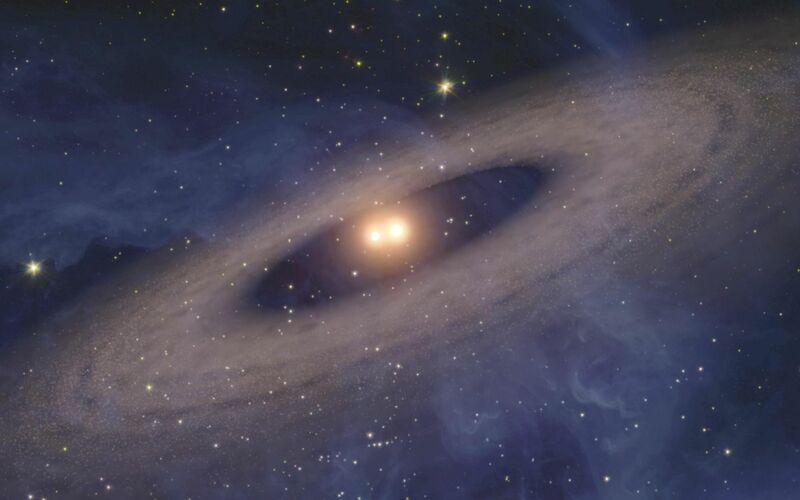 This could mean that planets prefer two parent stars to one, but more research is needed to figure out exactly what's going on. Image credit: NASA/JPL-Caltech/Univ. of Ariz.